One of the challenges I've faced as a blogger is quickly reproducing code that looks good in HTML. I've tried a few different online code conversion sites, and even a C# library. But I never quite got the results I wanted. I found myself revising the HTML to fix up key words, comments, and operators that sometimes got missed, were the wrong color, or the wrong font. All that HTML editing was tedious and time consuming. What I really wanted to do was copy my code from SSMS, Visual Studio, or the PowerShell ISE and paste it into my blog so I could spend less time as a web dev and more time writing. Since none of the other tools I found gave me the results I wanted, I wrote my own. The specified '@subsystem' is invalid (valid values are returned by sp_enum_sqlagent_subsystems). 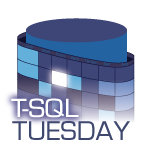 For T-SQL Tuesday #89, Koen Verbeeck (b|t) wants to know how we feel about technology and change. What impact has it had on our jobs, our education, and our psyches? It's a really good topic for us data professionals and Koen gets the ball rolling with some excellent questions. Ask someone that has hired a DBA which is more important: real world experience or education? To be fair, most will say their ideal candidate has a good mix of both. But if you can't get both, what matters more? Without hesitation, the overwhelming response is "Give me the candidate with experience." Why is that? Why is the combination of inexperience and certification the kiss of death?